I got this Dendrobium last week from a local nursery. 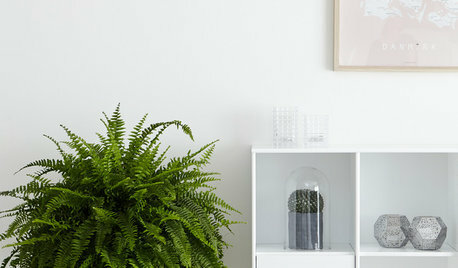 I contacted the nursery that supplies this local nursery about a possible name for it and they sent me an email saying it was Somkiat Blue, but I looked at online photos and mine looks different from Somkiat Blue. I was wondering if anyone had any ideas of similar looking cultivars? Thanks. Pardon the mess, my room has become a makeshift grow room lol. 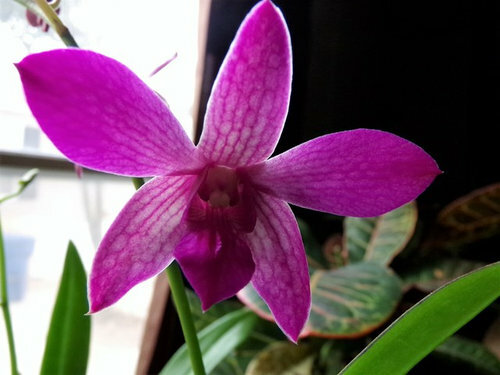 If no one responds here, have you tried the orchid forum? 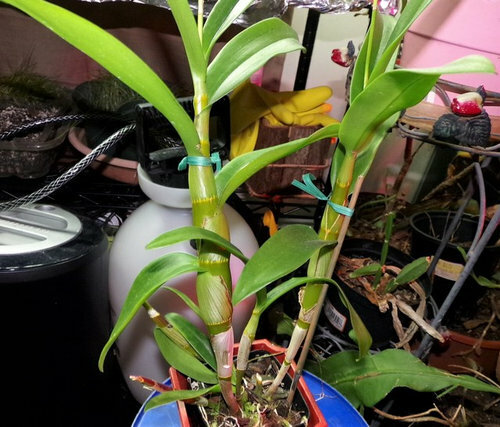 Hi macranthos, I also posted on the orchid forum but so far I haven't gotten any responses. If you cross orchidA with OrchidB you get OrchidC and orchid C is given a Grex name. In your case Somkiat Blue. Repeat the cross or bloom all the seeds in the original pod and there will be differences in the blooms. If you wish to get the blue coloured version you need to by a division or a mericlone (copy) of a Blue Clone....example naming Den. 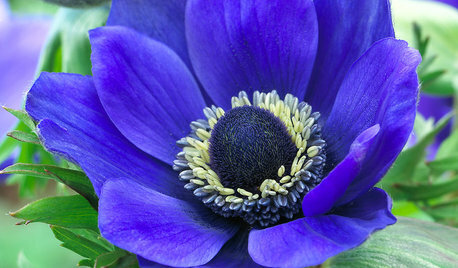 Somkiat Blue 'Blue Clone'. Thanks arthurm2015. I don't mind the blooms on the one I have now, I just wanted to know the possible ancestry so I'd know more about the conditions that it likes. 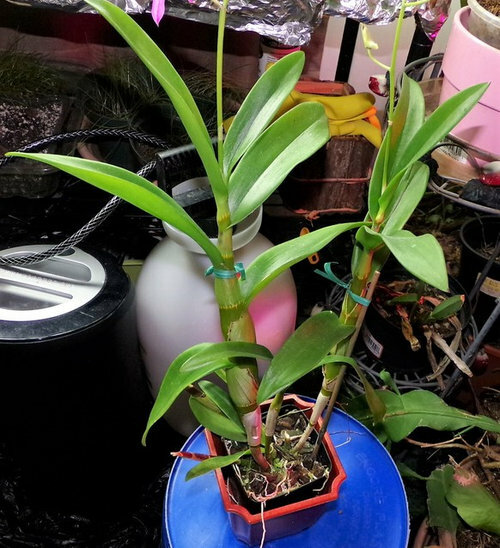 It is a hard cane phal type dendrobium. Extremely common. Sold in all big box stores. Give it morning direct sun bright shade the rest of the day. 50 degrees or warmer. Like most orchids they like a lot of fertilizer. Thanks Harvey. II'll bookmark the link you posted. Orchids have been my newest obsession and I've been collecting some over the past couple of years. 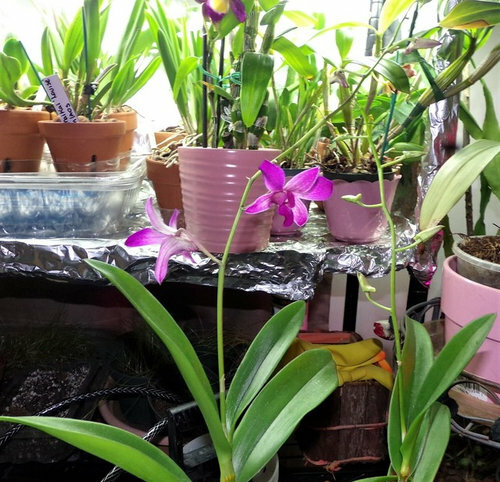 Dendrobium and Phalaenopsis can not be crossed with each other...they are too far apart for intra-generic hybridization. 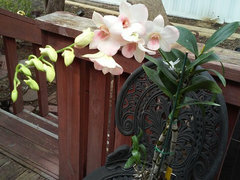 Inter-generic hybridization in Dendrobium can achieve similar flower appearance to Phalaenopsis though...as seen here. The bloom is Intermediate in shape between the round filled shape of Dendrobium phalaenopsis and "antelope types"
Dendrobiumm phalaenopsis has had a name change, The taxonomists have decided the name is incorrect. Note the Round Filled in shape. As for the Ancestry of the orchid under discussion, we will never know because Some orchid nurseries do not pay the Ten English pound required to register an orchid name. Doesn't matter all that much because orchid judges will still judge the orchid. 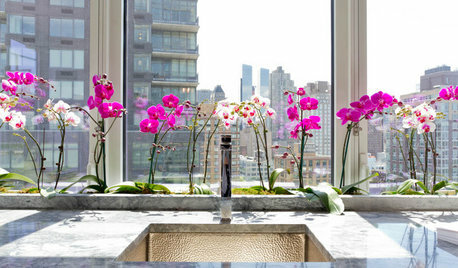 The name of the orchid in the pic. is Den. bigibbum 'Matt' x 'Amanda' and it is owned by me. How to pronounce bigibbum? Thanks for telling me that arthurum2015. So it would be a Den. bigibbum hybrid or Intergeneric like Smivies said? blackwillow, not an intergenitic. Arthur thanks for the up to date name. 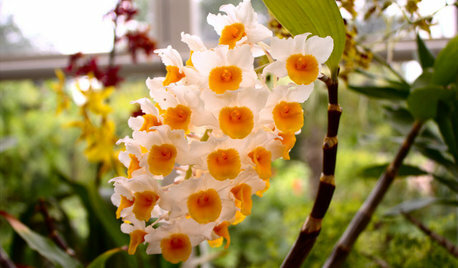 However it is still referred to by the old name phalaenopsis type dendrobium by many. Including the AOS info. 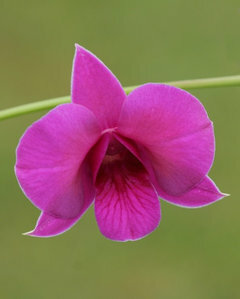 Also in general it is known as a hard cane dendrobium. Thanks Harvey for also clearing that up. 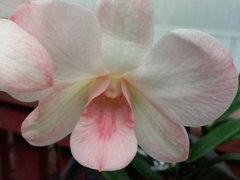 I've heard of the name hard cane dendrobiums before. I have another type called Haleahi Blush that's struggling. It was in a very bad mix and it had a bacterial or fungal infection. I've been spraying it with neem and I think I have it under control. It lost quite a bit of roots so I'm hoping it will recover? Here's how it looked a couple of months ago. Knit Craze Combed Cotton Aloe Vera Fitted Sheet, Silver, 60"x80"